History. The author did her research. I learned so much about the Egyptian culture…from the big things like their use of the Nile, to the small things like the way in which they used makeup. The author was able to teach me without stopping to have a paragraph explain why things were the way they were. Also, her focus on the details really made her come across as credible. Kiya. Kiya experiences a lot. She becomes a slave, has a hard mistress, and experiences all ten of the plagues. I enjoyed being in her head. The author could have written her as a bitter heroine, and while she wasn’t always happy, what came across was grit and tenacity. Spiritually, Kiya comes to realize that the God of the Hebrews cares for her. That He is not a god who ignores his people. The romance. I loved the idea of it, the Hebrew and the Egyptian. 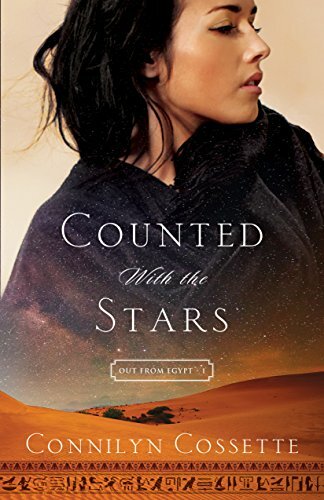 And it wasn’t bad, but it was definitely the secondary story as Kiya and Eben spent most of the book exchanging long looks instead of really talking and developing a relationship. Mind you, this is my own pet peeve and doesn’t take away from the book. I just enjoy books where the romance has a strong foundation. Overall, so glad I picked up this book and I’m excited to start the next one!